not been baptized and are over seven years of age are placed in RCIA. We welcome any who are interested in becoming a part of our Church and learning more about our faith. 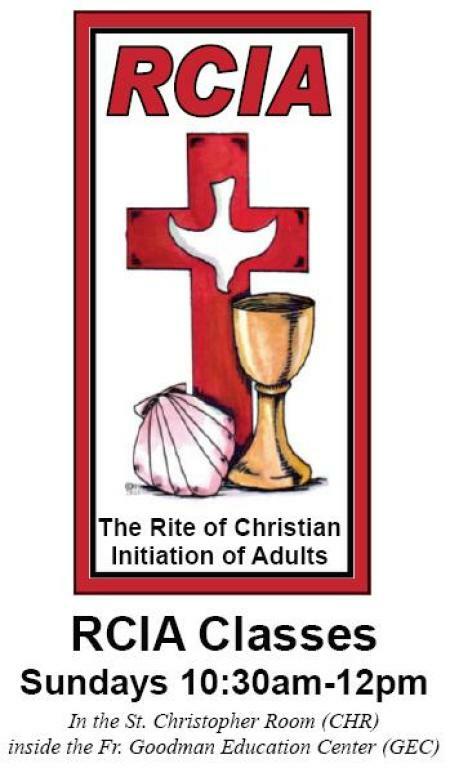 Anyone who is interested in learning about the Catholic Church and anyone who is a baptized Catholic and has not received all of his / her sacraments is invited to join the RCIA Ministry to decide if you wish to continue on the journey of faith to receiving the sacraments. Members of Most Holy Name of Jesus faith community will meet with you to discuss their faith, the role that God has played in their lives, and assist as you prepare to receive the sacraments and to become an active Catholic in this parish.